inspired gifts and beautiful home accessories for more than 35 years. beautiful, on trend products and a service that makes life easier – not more difficult! large, high quality and ever-evolving range for you to choose from. as well as themed products for Christmas, Weddings, Babies and much more. they could just as easily be an indulgent self-purchase. from the initial conception of a product through to its delivery to you. In 1979 India was full of unwashed, bearded hippies wandering around in search of enlightenment. Shane O'Mahony, however, although definitely unwashed and bearded, was looking for papier-mâché. After a number of years travelling in Asia, Shane was broke and needed to find a way of funding his wanderlust. and generally try to make a viable business out of Transomnia. This plan succeeded so well that by 1985 Shane needed some help at corporate HQ, AKA the spare bedroom. He turned to his brother Rod, luring him away from a promising career in dairy retail (he was driving an ice cream van). 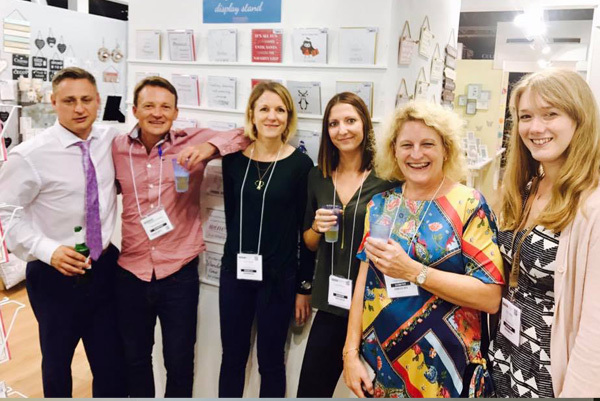 Rod brought along a friend, Chris Ayles, and the three of them set about taking the world of giftware by storm. with occasional tweaks, from items already being made in the areas of production. Mahatma Gandhi Estate in Brixton, South London. The company started to attract attention from some of the larger retailers; 'Ethnic' was becoming mainstream, taking Transomnia with it. In 1992 the company was incorporated as Transomnia Limited, the directors being Shane, Rod, Chris, and Chris's brother Shaun (who's since escaped to Devon and got himself a proper job). and our producer partners - make the transition. Today the company employs two designers, who are also closely involved in the buying process. Some products are still traditional, but our main focus these days is on our own in-house designs, ranging from the seriously stylish to the fashionable and fun (see the Products page for more details). However the same traditional craft skills are still well to the fore in their production, allowing us to retain trading links with many producers who have become friends over the years. 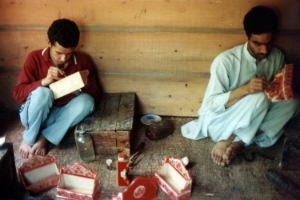 We stock a small range of Kashmiri papier-mâché, for example, from the son of Shane's very first supplier back in 1979.
products and a service which help our customers to succeed along with us. We now supply well over 1,000 retailers in the UK, ranging from small independent shops to large multiple chains. and our commitment to providing our customers with great products and a service that's second to none.